Scandic Havet, Bodø. Norway's tallest building. 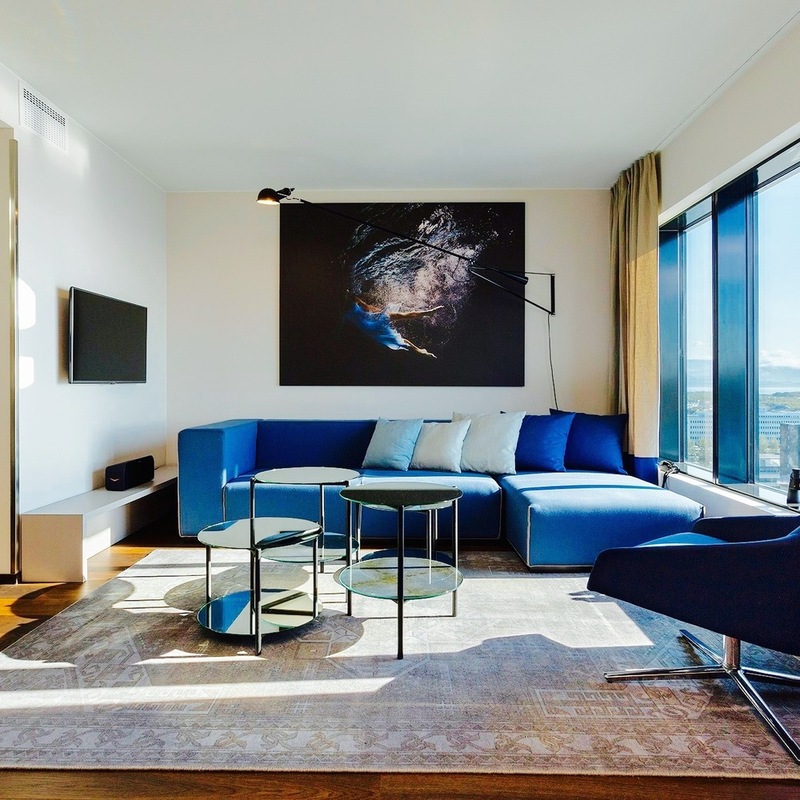 Throughout 2014, Thomas has been working on the assignment of providing the entire Scandic Havet (The Sea) hotel in Bodø of relevant artwork. This project included artwork for each of the 234 hotel rooms, 13 conference rooms, 63 meter tall elevator shaft, lobby, lounge and 2 restaurants. This being such a complex assignment, Thomas sketched up the entire project before starting to shoot anything. This way he was sure to be effective and precise, at the same time as the client got a detailed insight in what the result would be like. Because of this, it became a close and comfortable collaboration between the client, the interior architect Scenario AS and Thomas to integrate the artwork completely into the interior design of the brand new hotel. The main theme throughout the entire hotel was off course underwater motives and nautical imagery. This also was the case for the hotel rooms, who where to be decorated with one 1,5x1,5 meter glass-print with backlight illumination. Thomas shot 7 ambient underwater images that would serve this purpose well, and that gave the room a relaxed and ambient atmosphere. The conference rooms all referred to a different state of mood, and where to be decorated by a kind of motive that would not catch to much of the attention of the guests, but rather be an ambient mood-setter in the room. After all, the attention of the guests should be on what is happening in the room, not the room itself. To create a series of comprehensive photography with a different mood, Thomas worked in small scale to manipulate paint flowing through and blending with water. He carefully tried to get the different styles of color to blend halfway into the water to create a complete specter of colors as the motive was developing. One of the biggest challenges was that after each attempt, the entire water tank had to be emptied, cleaned thoroughly and filled again. A time consuming process with very satisfactory results. One of Thomas' biggest visual projects is the decoration of the entire elevator shaft of this hotel. It became a 62 meter tall image of a wide diversity of underwater photography, seamlessly put together to become a mesmerizing journey from the first to the 17th floor. Take a deeper dive into this project here. Imagery of local sea-life was a natural choice of motive for the hotel's restaurants. To produce this, Thomas had to scuba dive in the local area like Saltstraumen, as well as visiting different locations where the animals where easier accessible. These images where eventually printed on different material and a variety of sizes to seamlessly fit into the restaurant's design. Also the hallways and lounges of the hotel needed visual artwork to enhance the hotels atmosphere. Also, the idea of printing a high-end graphic design on the lobby's white marble floor. To pitch and demonstrate this idea, Thomas created a completely graphical impression that illustrated three different fishes in a colorful and minimalistic way. Architectural drawing of the lobby, showing graphic fishes swimming toward the center elevator. Because of the challenges with producing strong and endurable enough print to withstand the thousands of visitors, finally the decision was made to abandon this idea, and rather produce it on aluminum plates to decorate the walls of one of the lobbies. These images have been rendered to be produced without quality loss up to 12 meters tall.